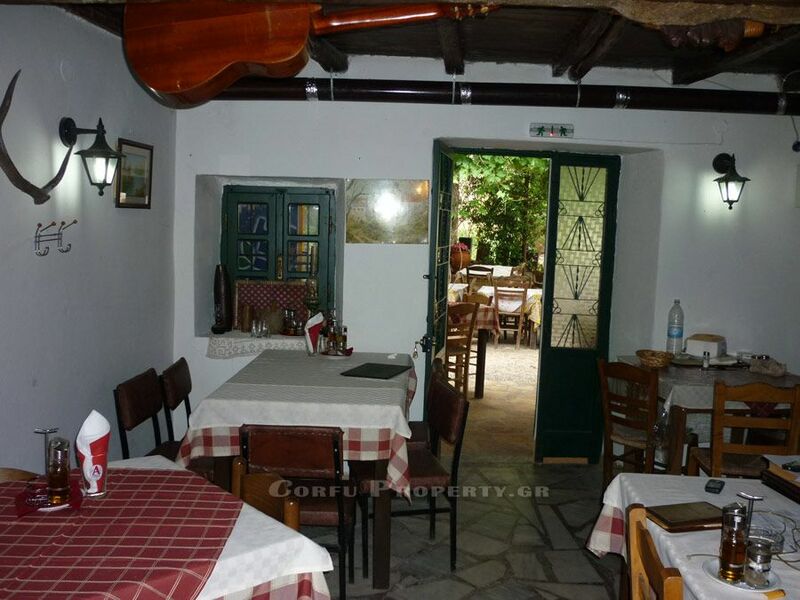 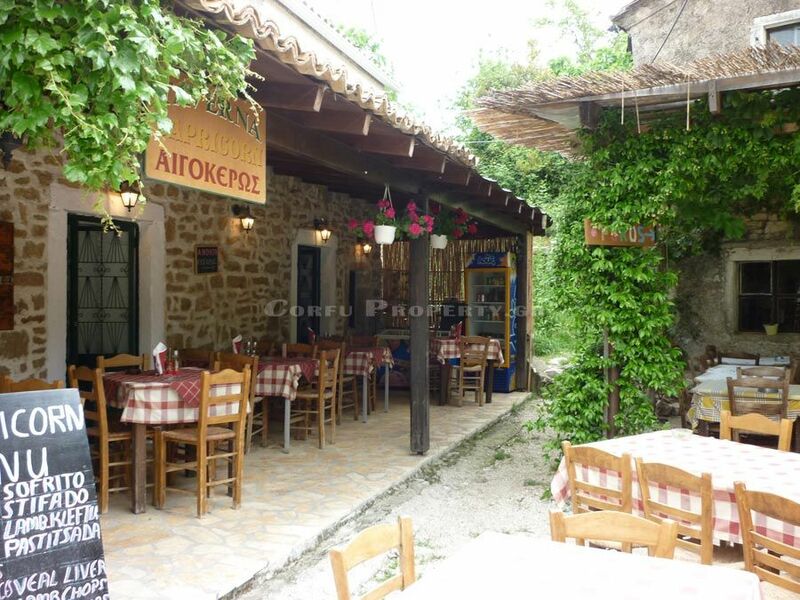 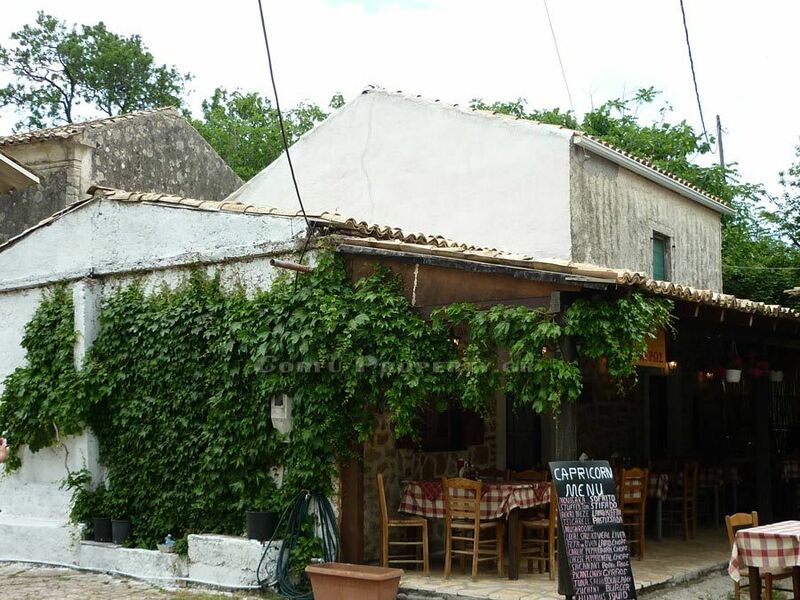 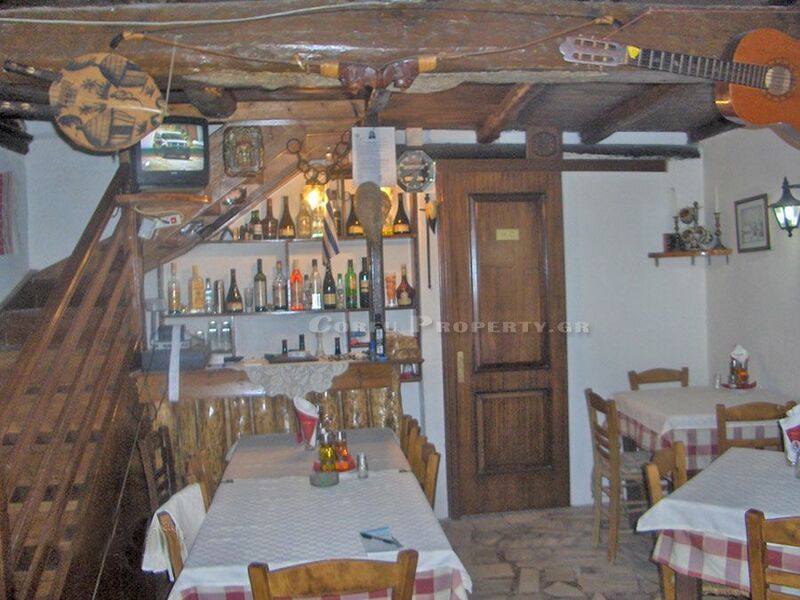 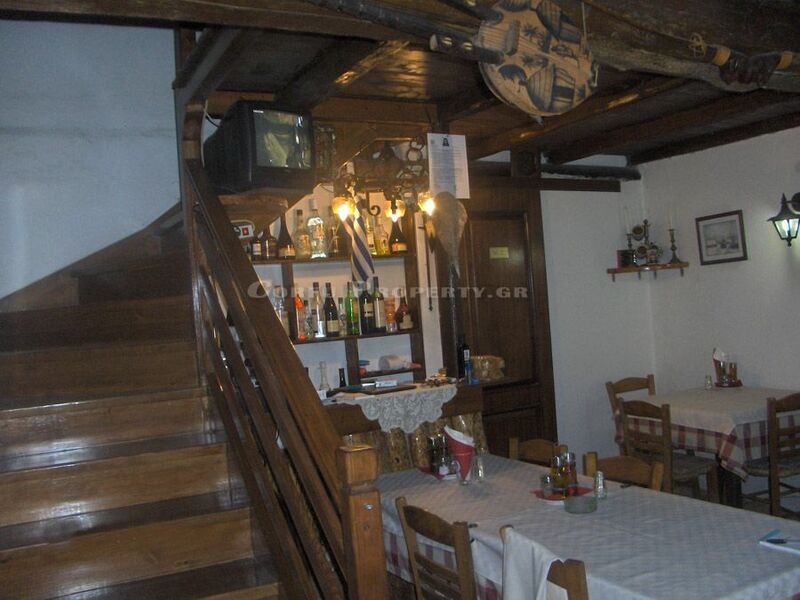 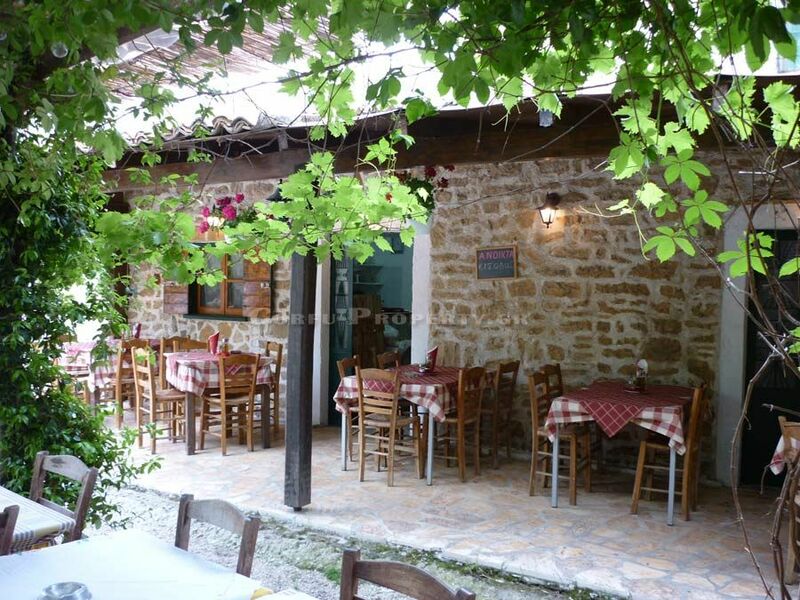 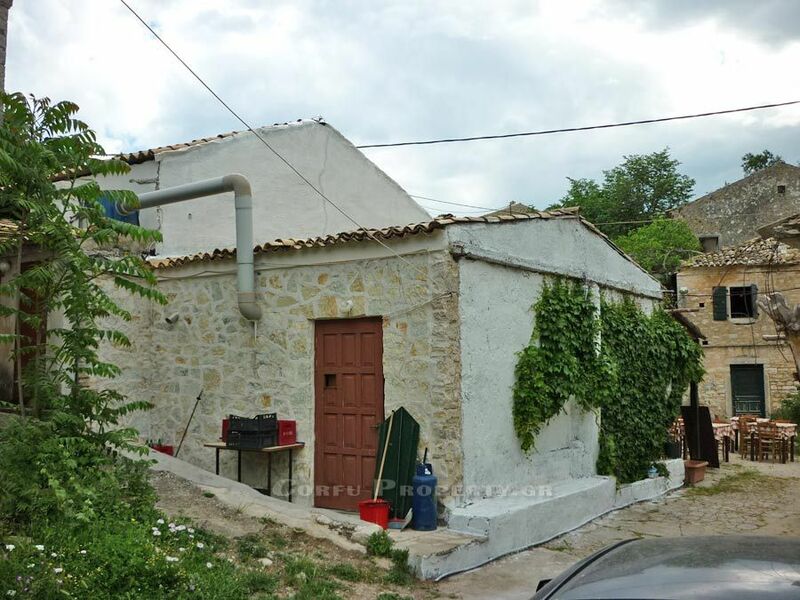 This traditional taverna is located in the historical village Old Perithia. 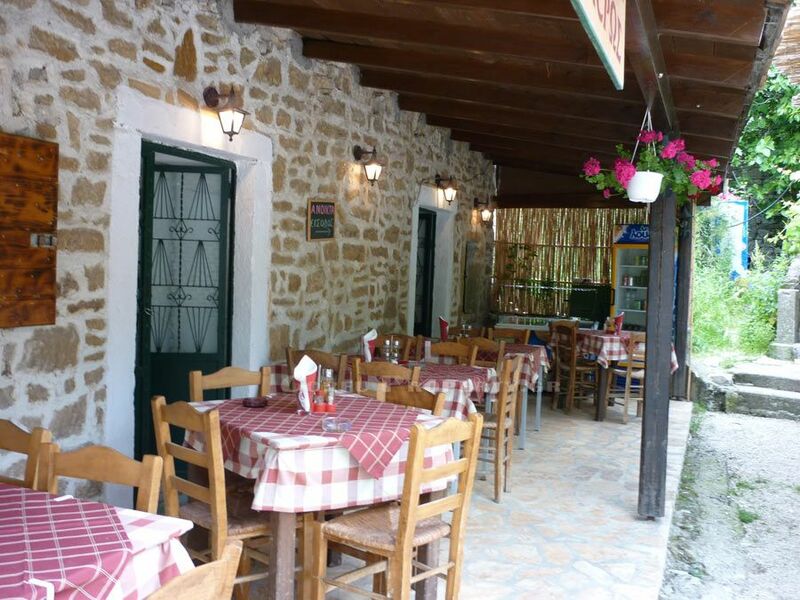 It is operating all year round but during the wintertime mainly in the weekends. 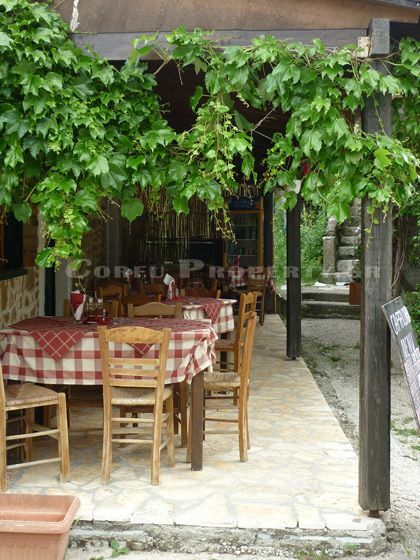 The building of 110 m2 offers space for five tables inside, with some more on the first floor and outside it offers space for another 8 tables under the covered veranda and under the pergola. 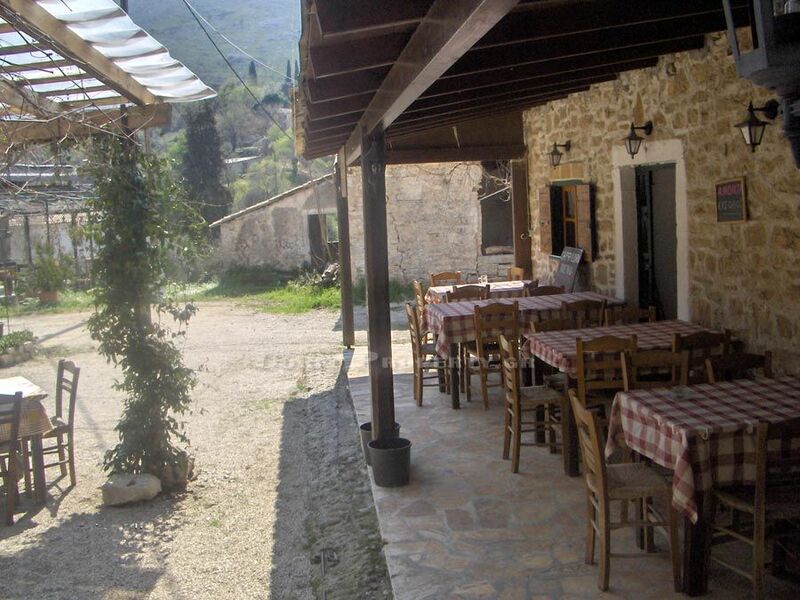 The small deserted village nowadays, originally built in Byzantine times, is located in the mountains between Kassiopi and Acharavi, off the main road offering spectacular mountain views. 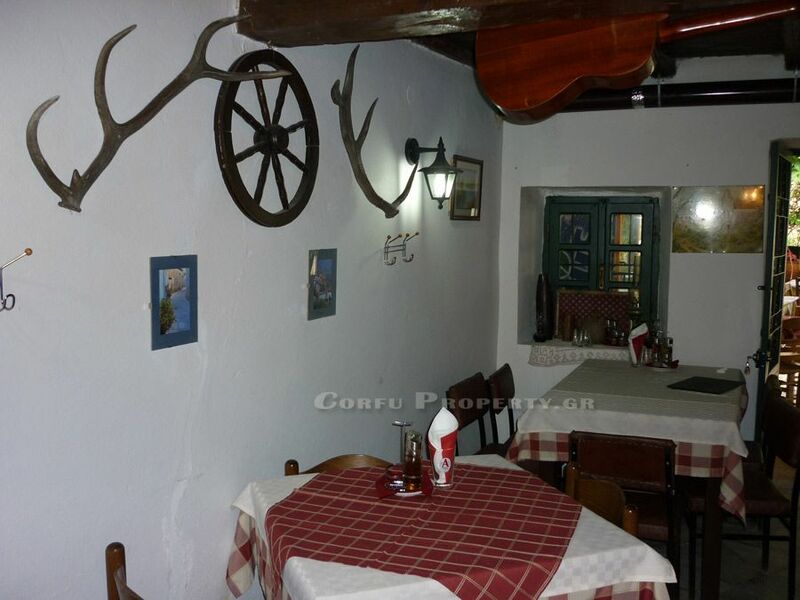 It is unique, in that it is almost completely uninhabited. 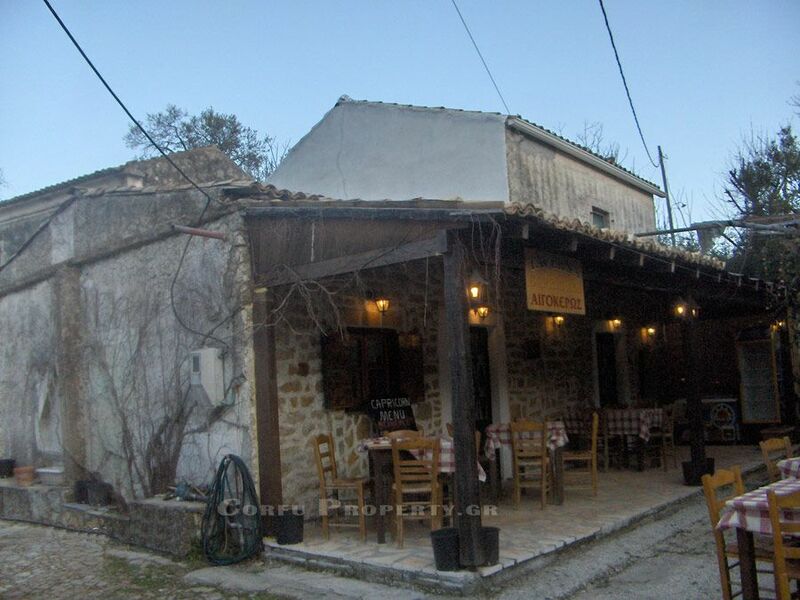 At one point occupied by over 1500 people, the village lost all its inhabitants due to population changes over the last century. 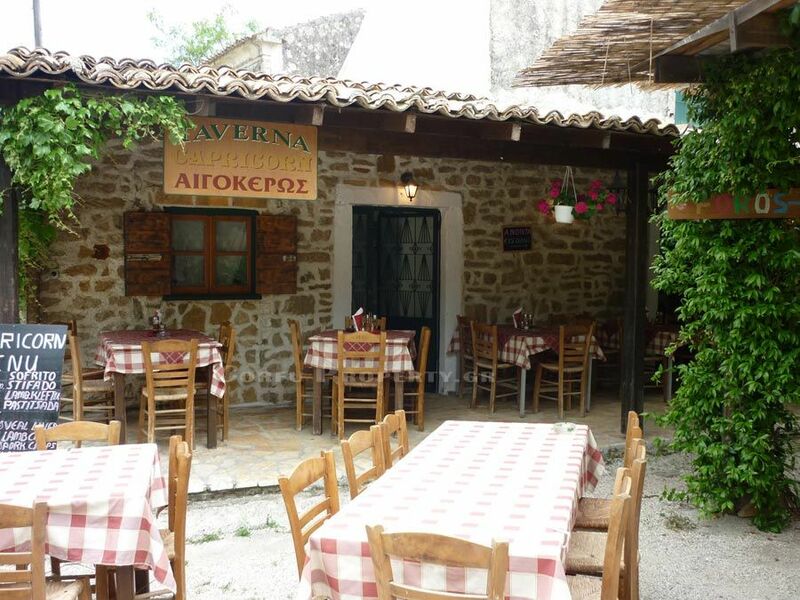 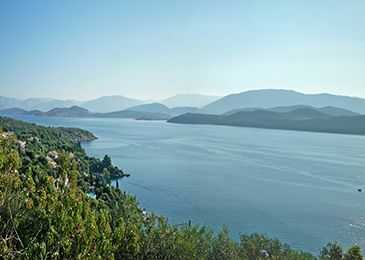 Nowadays there are five tavernas in the old village, a beautiful Bed & Breakfast; as well many houses are being re-built with a program of re-establishment of Old Perithia trying to rescue a piece of the history of the island but also giving again their old glamour in these important architectural creations. 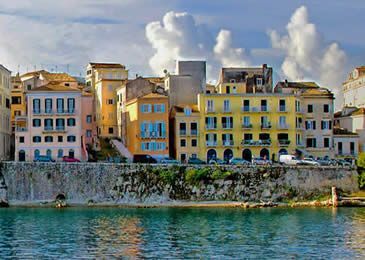 CORFU TOWN: 50 km, BEACH: 10 km, PORT: 50 km, AIRPORT: 50 km.